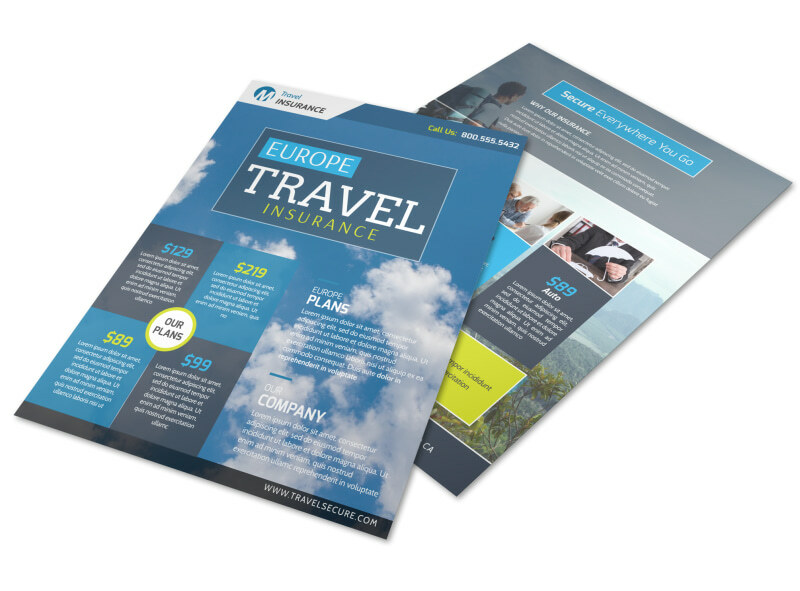 Customize our Europe Travel Insurance Flyer Template and more! Remind travelers that traveling uninsured can be a big mistake with Europe travel insurance flyers. Use your flyers to give a run down on the types of travel insurance available, costs, and more via the use of custom text in your choice of fonts and colors. Add photos and graphics to your flyers with a few mouse clicks, then print your design from your printer for instant distribution to travelers.